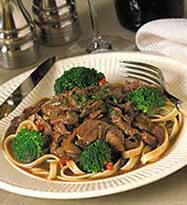 Online Gourmet Food Store, Beef, Chicken, Pot Roast, gourmet prepared foods & dinners. Steak & Meats, gourmet prepared food online with fresh combo sirloin, beef, chicken, pot roast, prepared meals. Prepared dinners delivered online. 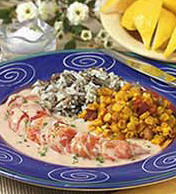 Chef prepared dinners and complete meals guaranteed fresh daily. Our online food store offers fast online delivery right to your home. Home Bistro chef prepared gourmet dinners / complete meals... We create great recipes - everything from soups and appetizers to complete meals and desserts. We mix, blend, and saut�. We grill the steaks, roast the lamb, poach the salmon. 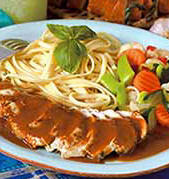 Try some of our best seller gourmet prepared food like Beef Pot Roast, Blackened Chicken Breast Dinner in Champagne Sauce, Gourmet Chef Prepared Roasted Crab Cakes in Lobster Sauce, Veal Saltimbocca Prepared Dinners, Gourmet Prepared Maine Lobster in Lobster Sauce, Gourmet Beef Burgundy Prepared Dinner or our Gourmet Chicken Marsala. All you need to do is follow the simple instructions to heat and serve our meals in about 10 minutes. It's that easy. 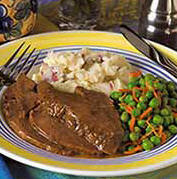 Slow cooked beef pot roast au jus served alongside our classic red skin mashed potatoes and peas with shoestring carrots. 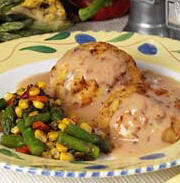 Two oversized, oven-roasted crab cakes served in a creamy lobster sauce alongside a blend of grilled corn, roasted red peppers, and asparagus cuts. 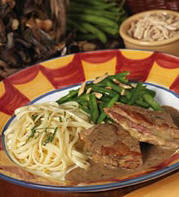 Saut�ed veal cutlets layered with prosciutto and provolone cheese topped with a wild mushroom demi-glace made with white wine, shallots, and thyme served with linguine and green beans with almonds. Whole Maine lobster tail (out of the shell) topped with a creamy lobster sauce made with white wine, tarragon, and thyme, served with oven roasted vegetables and a seasoned blend of white and wild rice. Home Bistro Offers 2 Limited-Time Specials for our Customers Only - Pick either your choice of Filet Mignon with Red Wine Sauce or Filet Mignon with B�arnaise Sauce at half price with any order over $50. Instructions: enter HalfPrice coupon code during checkout to see and select your choice of the two half-priced filet dinners. 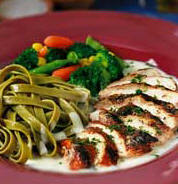 Or you may have the choice of any pasta at no charge with any order over $50. Instructions: enter HBPASTA coupon code during checkout to see and select your choice of pasta. This romantic dinner for two is even better when it's hot off the grill! You've probably seen this popular entr�e in your favorite restaurant. Each 10 oz. Portion makes a special meal for two - just broil and cut in thin, diagonal slices.